With the outbreak of the Sino-Japanese War in 1894, Japan officially embarked on an enterprise of territorial expansion. Acquisition of Taiwan occurred in 1895, soon followed by the annexation of Korea in 1910. The unconditional surrender of Japan to the Allied Powers in 1945 signaled not only the end of the Pacific War but also the end of the Japanese empire, as one of the conditions of surrender was the redrawing of national borders. The Allied Occupation of Japan (1945-1952) that followed introduced changes not only in the political arena, but also in the ways “Japan” and “the Japanese” themselves were defined and discussed. This talk illuminates some of these postwar changes – as well as prewar continuities – by examining the history of Japanese linguistic nationalism and language ideology. In particular, it will look at the writings of Mori Arinori (1847-1889) and Shiga Naoya (1883-1971), two prominent intellectuals who each proposed radical – though quite different – changes to the language use in Japan. Christina Yi is Assistant Professor of Modern Japanese Literature at the University of British Columbia. She received her Ph.D. in Modern Japanese Literature from Columbia University. 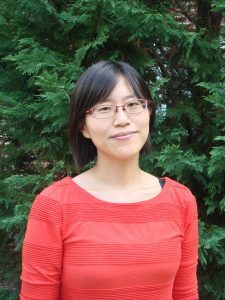 Her research primarily focuses on Japanese-language literature by ethnic Korean writers from the 1930s to the present. Her current book manuscript investigates how linguistic nationalism and national identity intersect in the formation of modern literary canons in East Asia and is forthcoming from Columbia University Press.